“Hey, Terry, I want to produce a [insert type here] video for my business…how long should it be?” Videos come in lots of “flavors, shapes and sizes,” and because of that, it’s probably best to answer a question with a question…or questions. Where will the finished video be shown? Online? In a convention hall? A boardroom? All of the above? Is the information to be presented highly technical? 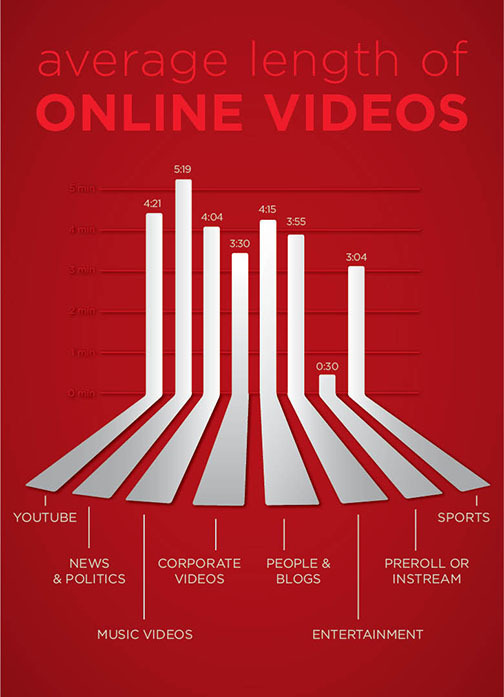 A key factor in play when contemplating any video is the “cultural ADD” that seems to affect us all these days. Statistics tell us that a video has about six seconds to grab the viewer, or they’re gone, so it has to be compelling, with a major point right up front. Once you’ve got ‘em, you can elaborate, but your video still can’t be long winded. Connect with your audience, get your point across and finish with a call to action—whatever it is you want the viewer to do next. ← Is it time for you to create a VIDEO resume? Thanks, Mike! I always want to provide helpful info and keep FIV top-of-mind, so when someone wants to shoot something, hopefully, they’ll remember that guy who provides good insight into video production!